The event will take place in the Grand Hall of the Ecole polytechnique. Registration desks will be located at the entrance of the Grand Hall, access by Cour Vaneau (7). The program with the name of the Amphis where the talks will take place will be distributed on site. 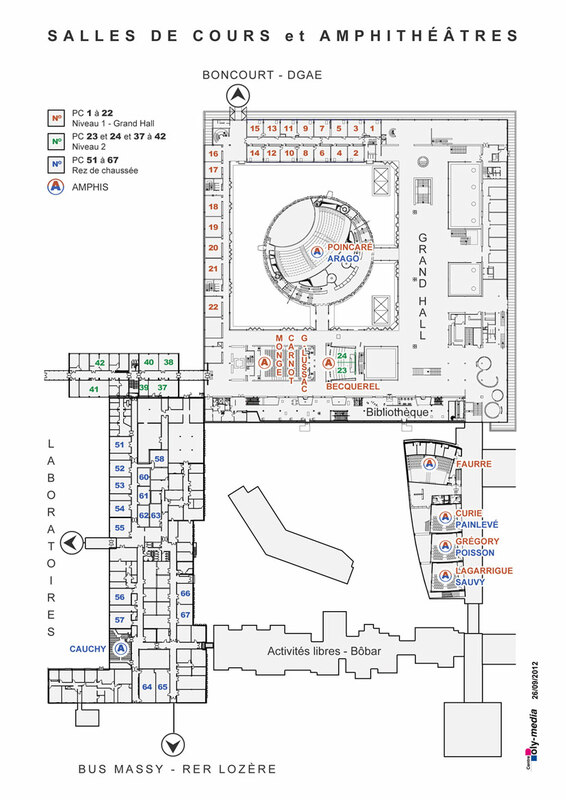 Poster sessions and catering will take place in the Grand Hall near the main Amphitheater Poincaré. The in-depth tutorials with practical sessions will take place at Ecole polytechnique. More information about Ecole polytechnique accomodations here.